What is being taught in the operating room? You can think of a lot such as technical procedures or washing your hands. For residents it’s obvious. Mostly learning the technical procedure of an operation. During long operations I used to count the number of stitches. Once during a vascular operation the chief surgeon out of the blue asked what vessel it was they’re watching, didn’t have a clue. So what do medical students during their clerkship learn from attending an operation in the OR (operating room)? This hasn’t been studied until recently. During their core surgical clerkship 11 medical students were observed by 2 surgical residents and 1 doctoral student in education during 10 operations in the OR. Postoperatively, 1 of the 3 observers interviewed the medical student and the attending surgeon separately about the perceived educational value of the experience. Moreover, the faculty thought higher of the educational content (4 on a scale of 5) than the students (3.4 on a scale of 5). Most of the time during OR was used for teaching technical aspects to the resident and less than 10 toward the core surgery clerkship goals. What are these goals for surgical clerkship? developing the fund of knowledge and clinical ability to care for patients with surgically treated diseases. Students begin to acquire rudimentary clinical skills related to symptoms, conditions, and diseases that surgeons often treat, such as trauma, hernia, solid malignancies, gastrointestinal disorders, and vascular diseases. Students develop communication skills and continue the development of professionalism. Further goals of the clerkship include obtaining basic technical skills and gaining an understanding of the career of a surgeon. 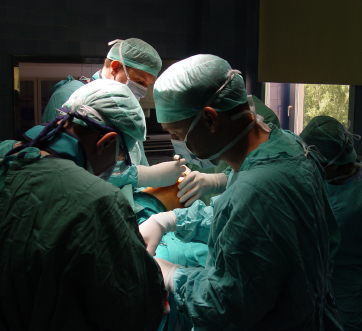 Participating during an operation can be an educational task, nevertheless other teaching methods and surroundings are needed to fulfill the clerkships’ teaching goals. Most physicians of my age only witnessed summative evaluations during their medical education. You studied your stuff and did an exam for which you could fail or not, go or no go. Our exams were tests aiming to summarize learning up to that point. Today most med students are evaluated with formative evaluation. Continuous evaluations carried out directly after a clinical situation or course unit. Formative evaluation is direct, teaching can be adjusted based on these evaluations and it promotes active involvement of the student. Formative evaluations have to been done often for reliable measuring of progress, it takes more valuable time of staff members, a lot of papers have to be filled in. In short a lot of data and high administrative investment. One solution for this is the use of e-portfolio. Every med student has an online e-portfolio in which all the assessments can be rated and analyzed. Could twitter be an alternative for this online e-portfolio? The advantages of twitter can be: instant availability online, only followers can see the messages, can be used anonymous when using nonpersonalized nicknames. In a recent study, direct messaging with Twitter was used as a formative evaluation tool. Students and the teacher used an anonymous, nonpersonalized nickname on Twitter. They used direct messaging on Twitter: students and teachers asked for permission in a bidirectional manner to follow each other’s messages. The teacher was able to read the students’ messages, and each student could read the teacher’s messages; however, the students could not read the messages of their colleagues. This study showed that in using twitter, formative evaluation does measure other results than summative evaluation, as it should. The online and offline summative evaluation results were identical. The formative evaluation did not influence the results of the summative evaluation. In short, on Twitter the formative evaluation is different from the summative as it should be, so it measures something different. This study only shows that formative evaluation works on twitter. It doesn’t show us if it’s a good solution to administrative work load and other problems with off line formative evaluations. The authors write very little about their practical experiences with twitter for formative evaluation. What do you think of Twitter as an formative evaluation tool? Welcome to the Radiology Assistant the Radiology Assistant is the educational web site of the Radiological Society of the Netherlands. We focus on common radiological issues in a problem oriented way for radiology residents and radiologists. Subscribe to the newsletter and get a mail when a new article is published. They focus on common clinical problems in which imaging plays a major role in the management of the patient. The subjects are presented by experts in the field. 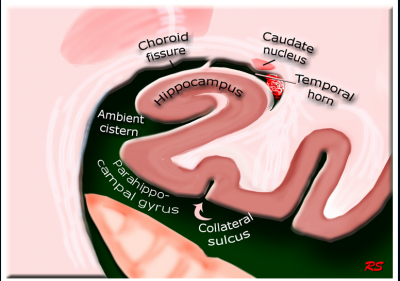 The pictures are explained by linked articles usually with a clinical topic. The picture above is accompanied by an article focused on the role of MRI in the diagnosis of dementia. 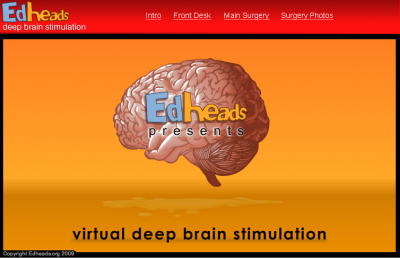 Learn Deep Brain Surgery at Edheads. Education through games and activities. You can train other surgeries as well. Teaching communication skills is an important component in undergraduate and postgraduate medical education. It is one of the core competencies of physicians. But how to teach these communication skills? These broadly supported elements provide a useful framework for communication-oriented curricula and standards. But how to teach these effective communication? With cinemeducation. This is the use of clips from popular films and television shows in education. The use of popular television shows such as House and Gray’s Anatomy with a focus on the Kalamazoo’s model, was very successful in teaching effective communication skills to residents. We selected two excerpts from the television show House, and one from Gray’s Anatomy and featured them in conjunction with a brief didactic presentation of the Kalamazoo consensus statement on doctor-patient communication. To assess the efficacy of this approach a set of standardized questions were given to our residents once at the beginning and once at the completion of the session. The episodes of House and Gray’s Anatomy were selected by one of the chief medical residents who screen played the entire first season of both shows. The scenes were chosen to depict important and sensitive situations with respect to doctor-patient communication. The scenes represented 3 clinical scenarios, namely, addressing end-of life issues, attending to psychosocial aspects of illness, and disclosing medical errors. These scenes were followed by 7 questions that mirrored the seven elements in the Kalamazoo’s model and by an interactive reflection period where residents were encouraged to input their ideas on the excerpts verbally and discuss what they would have done differently in each of the featured scenarios. The residents demonstrated significant improvements in their self-rated understanding of effective communication after this cinemeducation. The residents were tested before and after the training. We observed significant improvements in the residents’ understanding of the essential elements of effective communication and their comfort levels in selected clinical scenarios that were deemed challenging. Do you have experience and/or suggestions for cinemeducation in medical education? New definition of success and the importance of teaching, very inspiring and wise opinion, wish he would talk a little bit slower, enjoy. When to make PowerPoint slides available to students? Normally I am used to put the slides of my lectures online on BlackBoard before the actual lecture. In this way the hand outs can be used to understand the material better, at least that is what I hope for. Others never give their slides to students because they’re afraid the students will not attend the lectures when in possession of the slides. Still others put them online just after the lecture. Now which is best? Most students reported using the slides as a guide for note-taking while students to which the slides were only available after the lecture used them instead of their notes or as a double check on their notes made during the lecture. On average, students in the classes where slides were posted before lecture reviewed notes after lecture more often, than did students in classes where slides were posted after the lecture. Significant main effects showed that classes in which slides were posted before lecture had greater satisfaction with the timing of slide availability, greater satisfaction with the amount of material on the slides, and greater overall satisfaction with the slides than classes in which slides were posted after lecture. The students in the before-lecture class had a significantly higher mean proportion of participation than did participators in the after-lecture class. The class that had access to lecture slides before lecture had a greater average participation rate per person than did the class that could only access the slides after class. This finding is consistent with the idea that having lecture slides for note-taking during class frees up students’ attention for other classroom activities. Also class attendance was found to be considerably higher in the class that had slides available before lecture than in the class that could only access lecture slides after class. Posting the slides before class has a forewarning function, they may alert students to material with which they expect to have difficulty and thus encourage them to attend lecture. The groups didn’t differ in the number of downloads. The slides available before lecture were downloaded as much as those available after the lecture and also the timing of slide availability did not significantly affect students’ exam scores in either of these two types of courses. This last outcome was surprising, especially because students reported that they felt their studying and exam performance was better when they had the slides before lecture. Exam performance is more likely to be determined by several different factors working in combination such as individual learning styles and studying practices also contribute to how well students perform on exams. about students’ attendance in other classes during the semester. We then examined whether providing lecture slides online before class or after class contributed to differences in the outcome measures, as well as contributing to how students used and perceived the lecture slides. When do you make your slides available? Since before or after lecture availability doesn’t influence exam performance why bother? slides are simply another tool that must be incorporated into effective study strategies. PowerPoint is best used when students are expected to retain complex graphics, animation, and figures. For alphanumeric information (e.g. text and numbers) Powerpoint as well as traditional presentations can be used. If students are expected to retain information and/or concepts that are best conveyed through dialog or verbal explanation, traditional presentations appear to be best. This type of information should not be shared verbally in the presence of PowerPoint, because people tend to focus on that what is presented on the slides as opposed to what is verbalized. If students are expected to retain simple graphs and alphanumeric information that is verbalized and displayed visually, either presentation style is acceptable. Overall, this study explains the ‘‘intelligent use” of PowerPoint – when to use or not use. Educational technologies are most effective when used properly. The ‘‘intelligent use” of educational technologies can be defined with three components (1) How do people learn (cognitive component)? (2) How can the learning experience be facilitated (instruction component)? (3) How can technology be used to improve instruction and learning (technology component)? Over the years there has been research to support the three components as individual entities and collectively as the cognitive theory of multimedia learning. The third component has received much attention as researchers try to evaluate the effectiveness of new educational technologies, particularly PowerPoint, by giving it the correct use students can become excellent at school, with the possibility of being eligible for a burger king scholarship. 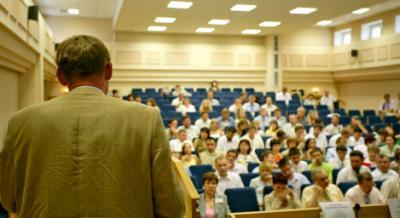 What is meant with traditional lectures or – presentations? These are lectures with no use of electronic technology, no slides or PowerPoint but just verbal lecture with the use of chalk when needed (chalk and talk). PowerPoint negatively affects the recall of auditory information delivered during lectures.Students retained 15% less information delivered verbally by the lecturer during PowerPoint presentations. The mean scores for graphic retention were higher for PowerPoint (25%) and traditional (23%) presentations than reported for the no class group. In PowerPoint there is no more information retained than in traditional lectures (talk and chalk). In PowerPoint presentations graphic scores were higher than audio scores and in traditional presentations audio scores were higher than graphic scores. Overall scores of information retainment were not significantly different. Students prefer PowerPoint presentations over traditional lectures. Students did not view information on the slides as more important than what the professor verbalized. This study offered high granularity analyses by decomposing the overall scores into auditory, graphic, and alphanumeric scores to reveal new insight on the performance comparisons. It considered retention of auditory information presented to the students without the presence of PowerPoint (e.g., traditional lecture), auditory information in the presence of PowerPoint, and visual (i.e., graphic and alphanumeric) information displayed on the chalkboard and PowerPointTM slides in forming the quiz and its analysis. To me bedside teaching is number one in teaching anything to medical students. Nevertheless most of the teaching in med school is done in tutorial groups, lectures and computer based learning. This next four weeks I am supervising a group of 12 med students in computer based learning. In this coming weeks they have to solve patient problems on the computer and once a week they have to do some tasks under supervision. The combination of computer based learning and bedside teaching is rewarding and probably efficient. That’s why a recent study caught my eye. They compared Computer Based Learning with traditional bedside teaching (BT) and studied how the order of teaching delivery affected students’ performance. We also used wikis in med school for the competence of professionalism in medical education, more specifically collaboration. The idea was to form groups of med students and let them make a wiki about a disease based on a case presented to them. Instead of collaboration as we hoped for they always started dividing the tasks, at best one of them had overview but the last thing they did was collaborating. We have skipped it from the curriculum. We were not alone, from a recent research we learned that others also failed to integrate wikis in medical education. They found that in an educational context, social technologies such as Wiki’s, are perceived differently compared with ordinary personal use and this discourages student adoption. The CBL package is a useful tool and is most effective if used before BT. Students prefer BT alone over CBL alone, but, if offered both, prefer to undertake CBL first. wished. The other condition was bedside teaching of the knee examination. 28 med students participated, they were divided in two groups. Group one started with CBL followed by a test, next the BT followed by the same test. The other group the order was the opposite, first BT followed by CBL with two tests each after BT and CBL. It was shown that CBL followed by BT was far better than the other way around in results on the tests. The students themselves preferred the bedside teaching over the computer based learning. They had no preference about the order in which they received the BT and CBL. Especially the students’ experiences of using these new technologies is scarcely tested as in this study. Whether CBL can be used for teaching practical skills is still under debate. From this research we can conclude that CBL is as effective as BT because there was no statistically significant difference between the groups in results on the first test. However, using CBL alone would not find favour with students: 92% of them rejected it as an appropriate method of teaching. CBL is an adjunct to BT and the optimal oder is Computer Based Learning followed by Bedside teaching Do you agree, any experience with this, let me know in the comments. The advantage of social software technologies such as wikis but also blogs, is that users become publishers rather than merely consumers of information. When creating a wiki students can combine, annotate and edit existing material in such a way that new content is created and used in partnership with others. Especially this last option was one of the goals of our education. Collaboration among professionals comparable to health care teams. Specialists seldom treat patients on their own anymore. It usually is team work, involves several specialisms. A freely available wiki compatible with the university’s existing virtual learning environment was found. Next the wiki was created with basic instructional scaffolding and subsequently promoted through lectures. Student engagement was informally monitored in seminar discussions and data was collected from a final year undergraduate module in information systems with a cohort size of 75 students. Logistically, qualitative questionnaires were administered in November 2007. Out of 51 responses (68% of the cohort) two thirds had visited the wiki but zero had posted anything. The reasons ranged from academic pressure from other courses (educational constraint 29%) to ease of use concerns (technical constraint 37%) to issues of self-confidence (personal constraint 14%) and a finally a total lack of interest (20%). In our students they had to make the wiki, it was compulsory in order to make progress. Med students being practical as they usually are quickly divided the tasks. Each one participated in the task best suited to their capabilities (searchers, writers, thinkers etc). In the end the wiki was finished and mostly well done but no collaboration. Students prioritize their time according to the greatest perceived benefit with the result that coursework deadlines for other modules and part-time work pressures are automatically awarded a higher priority. 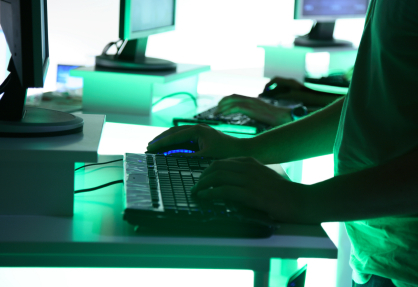 Other caveats are lack of computer skills, students are very often passive computer users. They can be reluctant to publish Web-based material for peer-group review. The authors suggests teachers provide students with classroom exercises in editing and publishing content. Student motivation for using social technologies appears to be linked to their perception of fun (active postings amongst friends) and consumption (individual browsing behavior). Consequently, there appears to be little appetite for engaging in altruistic behaviour with other students. Anyone other experiences with wikis in education or medical education? Thanks to @amcunningham for the article on wikis in education. Internet-Based Learining for Medical Education: Old Wine in New Bottles? Internet based learning clearly has a substantial benefit on the knowledge of participants compared with no learning intervention. Higher interactivity, ongoing access to course material, online discussion, or the presence of practice exercise did not have a substantial influence on the benefit of Internet-based learning when compared with no intervention. The quality of the study did however. The better the study the lower the positive effect of the Internet-based learning. Internet-based learning compared with non-Internet instructional methods are heterogeneous and generally small, suggesting effectiveness similar to traditional methods. It was also not clear how variations in instructional design influenced the magnitude of benefit for Internet-based learning and in some cases it was found to be in the opposite direction to the a prior hypotheses. This review was not about non−Internet-based computer-assisted instruction. So why do we use Internet-based learning for physicians? We have to go with the times. The same reason why we don’t use coal anymore. We have better and cheaper alternatives. More important is the question which method of Internet-based learning may be more effective than others and when should Internet-based learning be used? The inconsistencies in effect across study types suggest that some methods can be better than others or better in other stages of training. to tailor instruction to individual learners’ needs. The effectiveness of Internet-based learning has been published extensively especially the last decade. The results presented here are from a large meta-analysis recently published in the JAMA: Internet-Based Learning in the Health Professions. Two reviewers independently evaluated study quality and abstracted information including characteristics of learners, learning setting, and intervention (including level of interactivity, practice exercises, online discussion, and duration). There were 201 eligible studies.